Our purpose is to provide children in Haiti with the necessities for healthy development, and the life skills that foster self-reliance and encourage them to become positive contributors and leaders in their communities. We strive to leave a positive impact on the lives of Haitians and on the land of Haiti. Everything we do at Hopestart International is focused on sustainability and eco-friendly development. There is no shortage of sun in Haiti, which is why our entire Children’s Home runs on solar power. This helps us keep operational cost down while simultaneously helping the environment. Thank you to the Grove Church of San Diego for building us a state of the art aquaponics system. It creates a biodiverse garden as well as fish farm. We have plans this year to grow a range of leafy vegetables as well as raise 150 fish every 6-8 months. The ingredient that is most sorely lacking in the Haitian diet is protein. The lack of this essential component of a healthy diet severely hampers the intellectual development and growth of Haitian children. 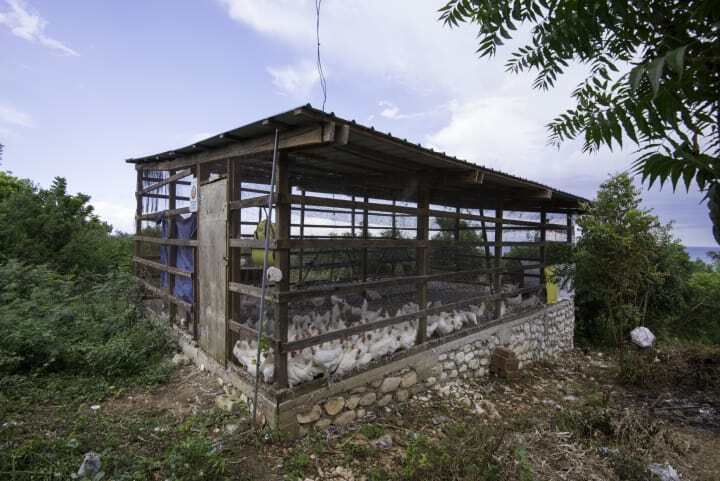 On the other hand, the cost of meat and eggs, the richest sources of protein, is beyond what many orphanages or other child care institutions in Haiti can afford. To make protein – meat and eggs – available in our childcare operations, we have taken up chicken farming. We can do so much more with your help! In Haiti, municipal power plants are well known for their intermittent and unreliable output. After a town is hit by a tropical storm or hurricane, it takes months to restore power even for a few hours a day. On the other hand, Haiti enjoys abundant sunshine practically throughout the year. 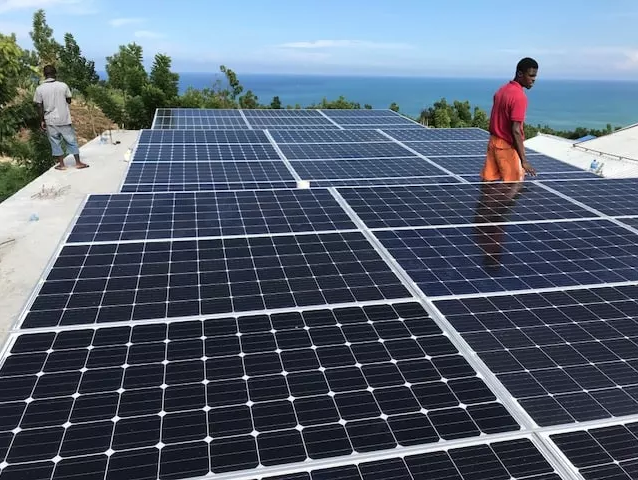 So the Hopestart compound in Jeremie depends on a great solar system consisting of 50 panels and a bank of batteries where we store the energy produced by the solar panels, thus having reliable electricity on a 24/7 basis. This power source makes it possible for us to offer the kids under our care tremendous advantages not available in most orphanages in Haiti, from healthier food through refrigeration, to better education through the use of iPads that were recently donated to us. YOUR HELP is essential in ending the cycle of poverty, hunger and abuse.